40 patents registered in France and 172 registered worldwide, between 1968 and 1999, in the field of Drilling and Production technologies. This new Handbook is designed to give a complete, comprehensive overview of field development and well production, providing a wealth of practical information. It is intended as a reference guide for petroleum engineers and oilfield operators, yet also provides readily-available solutions to practical problems. The user will find the guidelines, recommendations, formulas and charts currently in use, as it covers most of the cases encountered in the field. Even when a problem has been contracted out to a service company, reference to this handbook will help the oilfield manager to better monitor outsourced work and current operations. 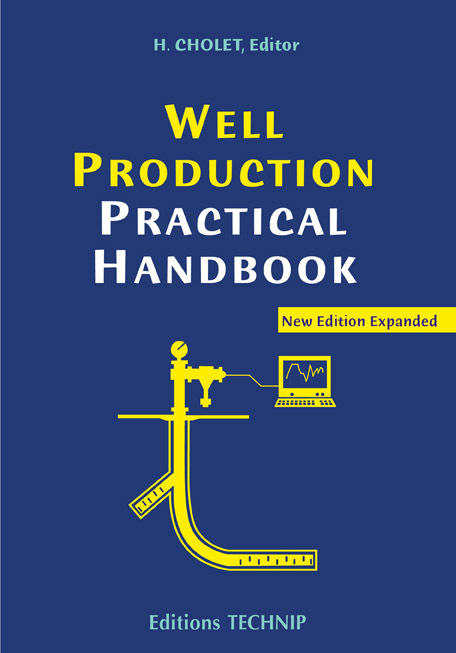 The handbook also introduces the new techniques of well production (horizontal and multilateral wells, heavy oil production, etc.). Many examples are given throughout to facilitate the use of the formulas. Also, measurements are frequently expressed in both metric and U.S. units. The symbols used for these units conform to the recommendations of the SPE Board of Directors. This publication will therefore serve both as a guide and as a handbook, in which the operator will find answers to his questions, along with quick and easy solutions to most of the problems that occur in field development. General data. Casing and tubing. Coiled tubing. Packers. Pressure losses. Fundamentals of petroleum reservoirs. Well productivity. Formation damage control. Sand control. Stimulation. Horizontal and multilateral wells. Water management. Heavy oil production, Enhanced oil recovery. Artificial lift. Beam pumping and other reciprocating rod pumps. Gas lift. Electric submersible pumps. Progressing cavity pumps. Hydraulic pumping. multiphase pumping and metering. Deposit treatment. Well servicing. Cased hole logging and imaging. Financial formulas for investment decisions. List of standards for petroleum production. Glossary. Index.